Property owners usually lease out their properties to their tenants based on certain terms which the tenants need to follow. There is a fixed lease period and the terms are renewed at the end of each lease period. Now, when the lease terms are renewed each month, this is known as a month-to-month lease agreement. In such a scenario, the Lease Forms comprises of the terms and regulations for just one and needs to be renewed at the end of each month. As the name indicates, this month-to-month rental agreement comes in handy when a residential property is leased out by a person. Along with the lease terms, this agreement comprises of the date when the lease is signed and the date on which it will be renewed. 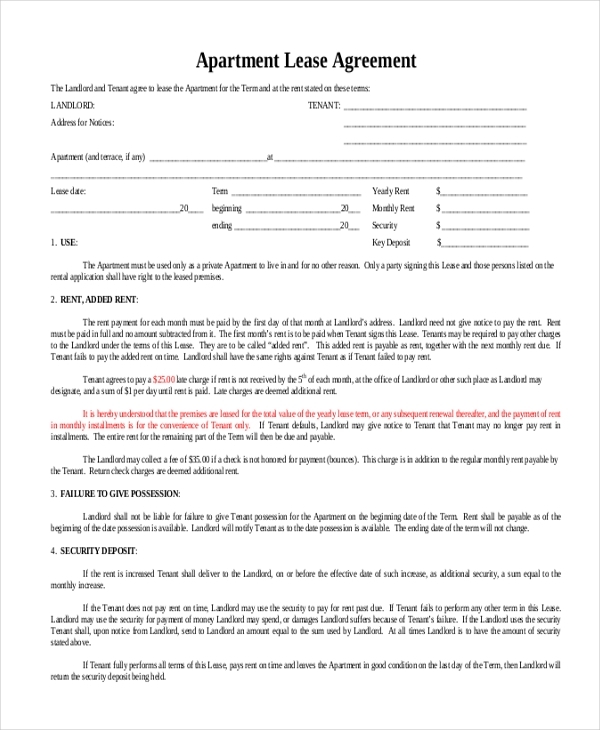 You may also see Residential Lease Forms. When a property owner leases out his property to a person for a period of 6 months with an option to renew the rental terms every month, the two parties sign this agreement to get the deal going. 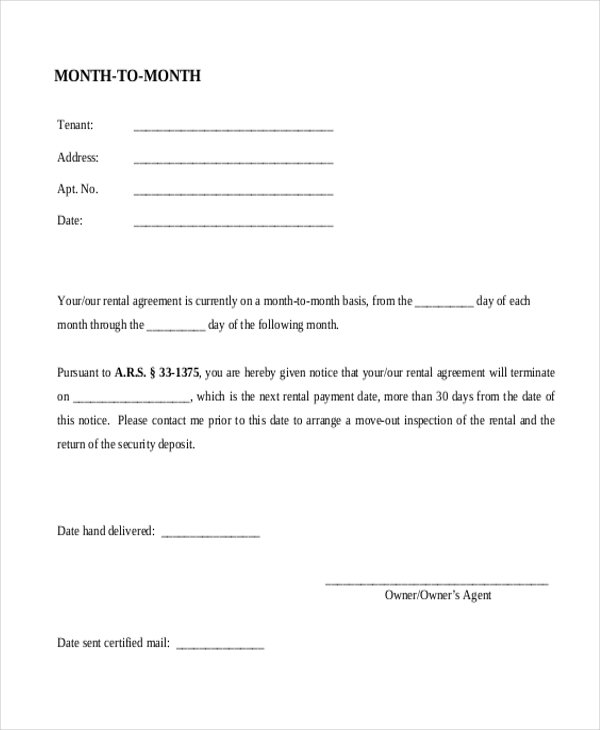 A person working within a tight budget with no means to hire a lawyer can use this month-to-month lease agreement form to draft a lease contract. This agreement form is free of cost and comprises of all the essential elements that should be part of such an agreement. 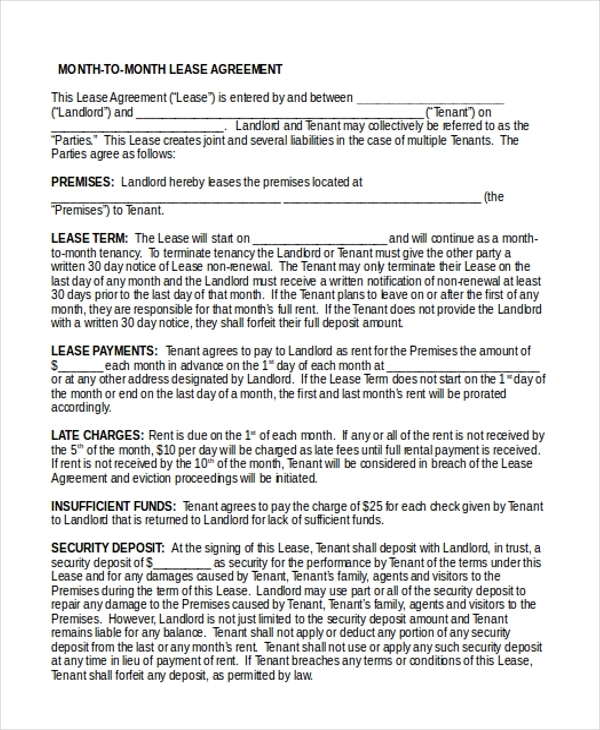 You can also see Sample Month-to-Month Lease Forms. As the name indicates, the lease agreement form is used by the parties who are involved in the leasing out and renting of a commercial property. Using this agreement gives them a choice to renew the lease terms each month. 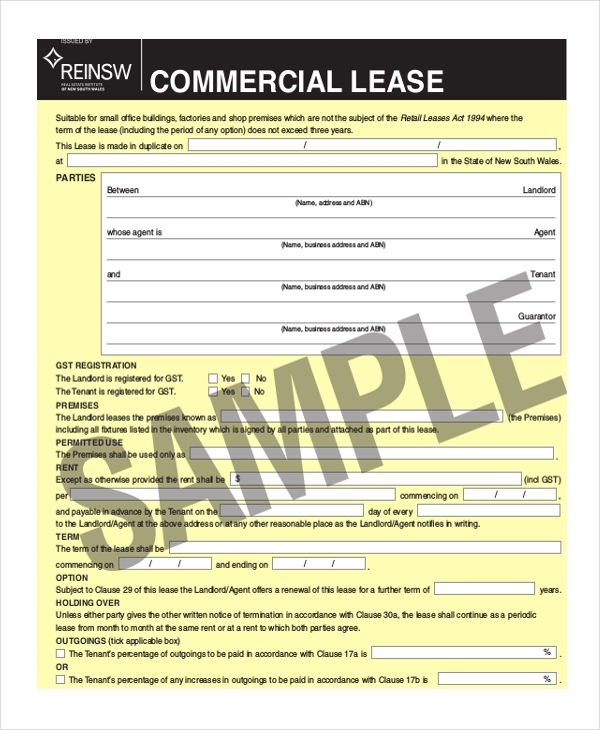 You can also see Commercial Lease Forms. 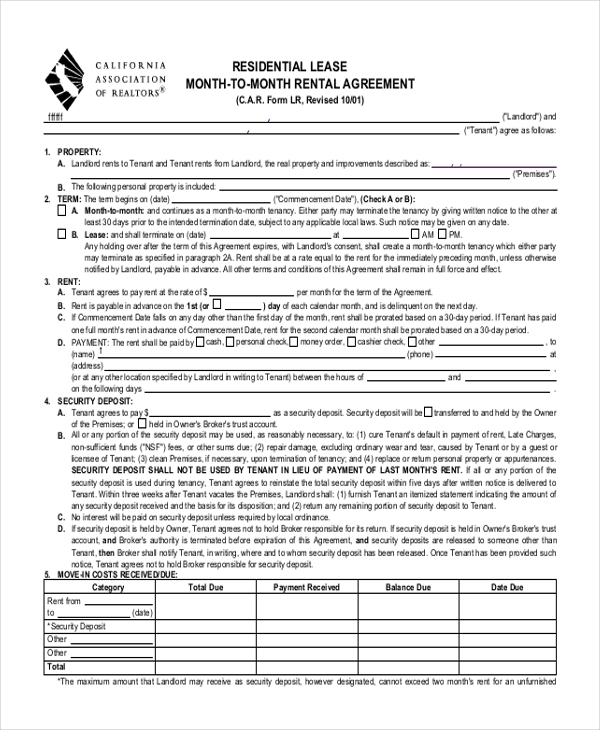 When a person lets out his apartment to a tenant on a month-to-month lease, both the parties are required to sign this agreement which comprises of the lease terms and other details for the current month. As the name indicates, this month-to-month lease agreement can be used by any person irrespective of the nature of the property in question. This agreement is free of cost and hence makes for a cost effective choice. You can also see Rental Lease Forms. 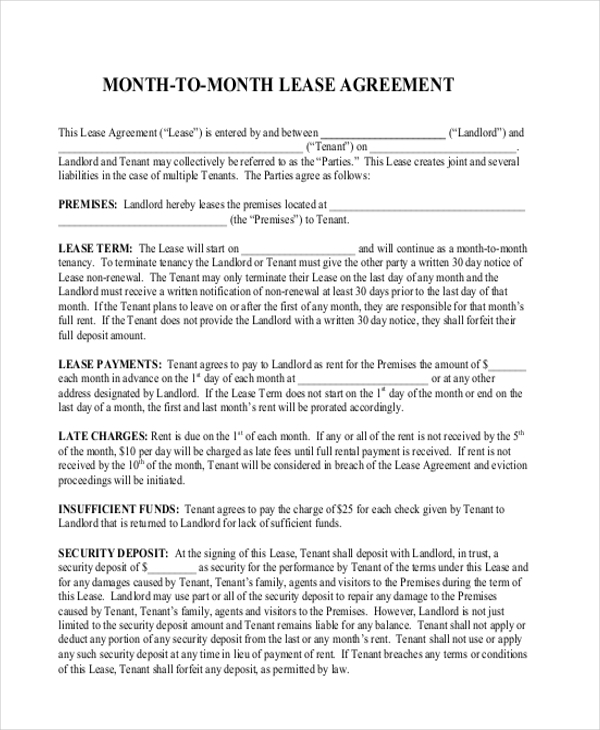 This is a sample of a month-to-month lease agreement which gives the user an idea of the format to follow and the content to include in the agreement. The user can go ahead and use this agreement just the way it is or make changes to it as per his needs. When a month-to-month lease agreement is signed between the property owner and the tenant with an understanding of a 30-day notice to be given for eviction or moving out, then this agreement can be used for the purpose. It gives an idea of the right way to frame such clauses. You may also see Apartment Lease Forms. 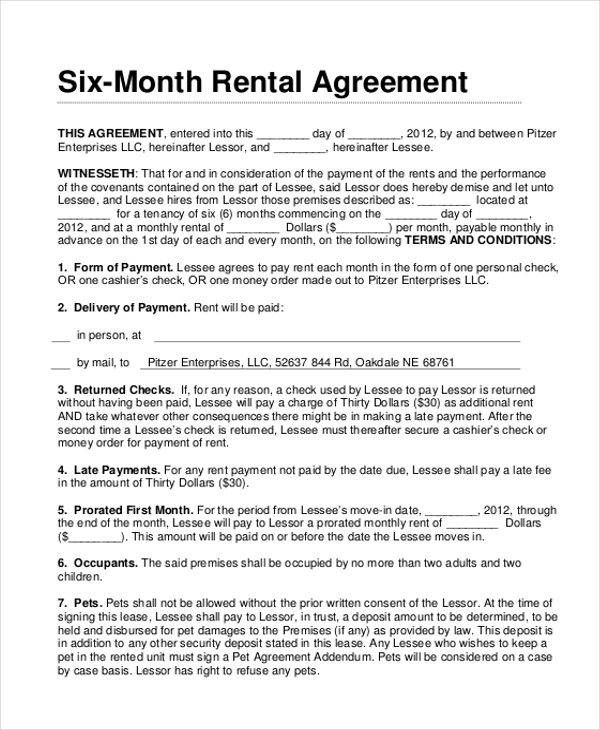 What are The Benefits of Using Month-to-Month Lease Agreement Forms? Need some help in drafting a month-to-month lease agreement? We have a wide range of blank lease agreement forms to choose from. Pick the one that seems apt for your needs and then download this. Make changes to it if necessary and then customize it with your personal information. Using these agreement forms help you to draft a perfect Lease Agreement Forms without getting professional help.